Rules – Information - Etc. Both San Antonio Rd and Calaveras Rd are closed. We have rerouted the course accordingly. We still include roughly 150 miles of the traditional course, but do not include the backside of Hamilton, Sierra Rd, or Calaveras. Please see the route sheet and RWG file links above. The Devil Mountain Double Century will be part of the Triple Crown Stage Race series for 2018. The course starts and ends at the San Ramon Marriott Hotel. Two miles into the ride you will encounter some small hills and large rollers that take you to the base of Mt. Diablo. The mountain rises 3200 feet in 10.5 miles to a height of 3849 feet. The last two tenths of a mile are known as "THE WALL". It's only twenty miles into the ride, but this will already by testing your strength. The first rest stop is at the summit, and the view is spectacular on a clear day. The descent is some of the most fun you can have on a bike, but be careful; it's technical with lots of blind corners. After leaving Mt. Diablo it will be a few miles and some minor climbs before you reach your next major challenge. The Morgan Territory Road climb is mostly tree covered and quite beautiful, following beside a natural creek that should be flowing strongly as you pass by. This part of the ride will likely be a little chilly due to the abundance of trees covering the road. The road rises 1500 feet in 7.4 miles and is VERY steep in a few spots. Just shy of the summit, you will find the second rest stop at mile 53. Going down the backside of Morgan Territory, known as "The Plunge", is fast and major fun! Now you will start to work your way over the Altamont to Altamont Raceway, and then back over Patterson Pass Road. One mile below Patterson Pass, will be a mini-stop/checkpoint, from which you can look up to the famous "Oh-My-Gosh" summit. Along the way you'll see many cows and a lot of windmills, before coming to rest stop number 3 at Mines Road. At this point, you have covered a little over 91 miles. Shortly after leaving rest stop number 3, you'll begin the long gradual climb up Mines Road towards the backside of Mt. Hamilton. This climb takes 25 miles to rise above 2000 feet through some beautiful country. If the rains have been on schedule, there will be many wildflowers and flowing streams along the way. Then it's a nice and easy 5-mile descent into "The Junction" and lunch at mile 116. After a great lunch, you can warm back up with 14 miles of mostly flat and occasionally descending road before beginning your assault on the eastern side of Mt. Hamilton. In just 5 miles, you will rise over 2,100 feet to the 4209-foot summit. Be sure to enjoy the far-ranging view of the Silicon Valley while you are at the top of its highest peak. Now you will be descending almost constantly for over 16 miles (watch out for cows standing in blind corners) to the next rest stop. As in 2008, the rest stop will be staged at the legendary Crothers Road venue. Just beyond Joseph Grant County Park, you will climb about 2 miles, then be rewarded with a fast descent to Crothers Road at the base of Mt. Hamilton, around mile 150. You will definitely want to refuel and take full advantage of this rest stop because in just five quick miles you are going to hit "SIERRA ROAD"! This sucker's a beast! In only 3.2 miles it shoots up 1800 feet! This will be your biggest test; not only is it incredibly steep, but you will already have over 155 miles in your legs! Once you have tackled this monster, you will face a rapid descent of about 1000 feet over 4 miles at which point you will skirt the Calaveras Reservoir while riding on primarily flat to descending roads into the next rest stop in the small town of Sunol, at mile 181. After leaving Sunol you will descend Niles Canyon, turn right under an old railroad bridge and begin your climb up Palomares Canyon. You will climb a little over 1000 feet in about 4.5 miles and descend almost the same amount in the next 7 miles before turning right and beginning your climb up Crow Canyon, which leads you to your last tough (but short) climb over Norris Canyon Road. The Norris Canyon climb rises 530 feet in 2.1 miles to the summit at 910 feet. From there, it's just 3 miles of descending and flats back to a triumphant finish at the San Ramon Marriott! That is 206 miles and over 20,000 feet (Cateye accuracy) of elevation gain in one day! Most of the ride is rural, scenic, and low on traffic. The terrain is unspoiled and rugged. The ride will be held rain or shine. While the weather is usually nice at this time of the year with lots of wildflowers and green pastures, come prepared for anything. During this time of year the weather can be a little unpredictable, with everything from a heat wave to a heavy fog or even a spring shower being possible. There is no shame in using a triple chain ring on this ride. In fact, we recommend it. If you don't bring a triple chain ring you should be equipped with AT LEAST a 39-26 or a 42-28. When you hit "SIERRA ROAD", you will wish you had mountain gears. THE JUNCTION is a great little café located at the middle of a beautiful nowhere. Unfortunately it closed 1/31/16. We don't know yet exactly what the lunch stop will look like, but you can rest assured that there will be plenty of food. Most riders on the DMD will need lights both in the morning and in the evening. Legal light is between about 6:00 AM and 8:00 PM this time of year. You may bring lights (and other gear) with you to registration. Place them in a (DMD-provided) bag with your name and number on it and we will deliver them to the rest stop of your choice. You may also start with your lights and drop them at the top of Diablo into a (DMD-provided) gear bag. They will be returned to the Marriott, or sent ahead to the Crothers, or Pet The Goat rest stop… your choice. Rest stops are up to 35 miles apart. Plan accordingly. Please bring a MINIMUM of 2 large water bottles and keep an energy bar or banana with you between rest stops to guard against the dreaded bonk! THIS SHOULD NOT BE YOUR FIRST DOUBLE! This is a VERY TOUGH RIDE. On average, riders who have done the Terrible Two say the DMD takes two hours longer. The staff will do all they can to pamper you at the rest stops but THE COURSE WILL SHOW NO MERCY! YOU HAVE BEEN WARNED!!! 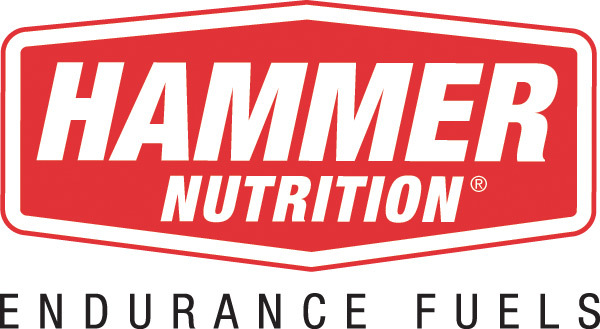 In all our years, our most requested products have been from Hammer Nutrition. They have been a huge support to all our events over the years and we are very grateful to them again this year. You can find out more information about their products on their website. There will be a two rider meetings this year. The first will be at 4:55am, followed by a mass start. This is the recommended departure time for all but the strongest riders. The gate at the base of Mount Diablo will open at 5:30am and is a nice 30-minute ride from the Marriott. Any rider hopping the gate will be disqualified. The second rider meeting will be at 5:55am. All riders will be credited with a 5:00am start, unless they answer to the roll call at 5:55am (for a 6:00am start). BICYCLISTS MUST OBEY ALL LAWS! Riders may be disqualified from the event, lose Triple Crown credit for violations, and will never be allowed to enter one of our rides again. Center line violations and exceeding the speed limit are a special concern on Mt. Diablo and Mt. Hamilton, not only due to their illegality, but also due to the risk to your life! We reserve the right to pull riders for any violations or to protect their own safety. Register early! REGISTRATION WILL BE CLOSED once we have received 250 entries, or at 5:00pm on Monday, April the 24th (received by us on this date, the Monday before the ride), whichever occurs first. Please register early. NO DAY-OF-EVENT REGISTRATION - DON’T ASK! The Quackcyclists reserve the right to refuse entry to anyone, or to remove any rider from the course at any time for reasons of their own safety, the safety of others, or because it is, in our judgment, in the best interests of the ride, our sponsors, our volunteers, or the Quackcyclists. This is a timed tour, not a race. Riders are responsible for checking themselves in at each rest stop. Our main concern is for your safety. To help accomplish this we need to know where you were and at what time. Riders who abandon must notify a course official ASAP. Private SAGs. We don't allow personal SAGs and Any rider with a private SAG will be disqualified and will lose Triple Crown credit. Also, they will be booed by passing riders and staff. We do however welcome Volunteers. All riders must sign the release form that will be available at check-in, or they will not be allowed to ride. *Check in Friday 5:00pm - 8:00pm or Saturday 4:00am - 5:30am. If at all possible, please check in on Friday evening. There are two primary cutoffs. #1: You must leave the Mines Road Rest Stop by 1:00pm. Anyone later than this will have the option of either being Sagged forward on the course, or back to the start. #2: All riders must depart the lunch stop (Mile 115) by 4:30pm or they will be sagged to the top of Mt. Hamilton. We will allow you to continue on the course at that point. If either cutoff is missed, you will receive a DNF for the ride, but you will have the opportunity to enjoy riding most of this absolutely wonderful course. Our primary concern is rider safety. These cutoffs are in place to prevent riders from having to descend Mt. Hamilton in the dark. Accommodations - The San Ramon Marriott is the site for the start/finish. A limited number of rooms are available at a special rate of $143/night plus applicable taxes. Simply call the hotel at 1 (800) 228-9290 and tell them you would like the Devil Mountain Double Room Block. If you are informed that there are no more rooms available at the group rate, contact us and we will try to request additional rooms under the group rate, then get back to you. The hotel is always quite busy this time of year, so register for a room as early as possible. The hotel will only hold rooms in our block up until April 7th. The Ride Director is Scott Halversen. Special thanks to everyone who makes this ride possible. This ride would not exist but for the support of countless individuals (and their families). All the Quackcyclists are volunteers who do this because we love cycling and our friends in the cycling community. No one is compensated in any way for working on the ride. All rider entry fees and funds generated from the ride go to ride expenses or are donated to charities. Because we are just a group of friends & riders, we welcome any & all to join us as a volunteer! This ride, and the Knoxville Fall Classic Double happen because a lot of riders either help out, get friends & family to help, or put in efforts just before or after the ride. Please consider helping! Here is how we do it: If you, or a family member helps out on the day of the ride, or makes a significant contribution before or after, you or your family member gets 1/2 off any Quackcyclist ride in the next year. Or, the person that helps, or their designated rider may join us on one of our fully supported staff rides. For 2018, our DMD staff ride will be April 21st. Our Knoxville staff ride will likely be September 22nd. The Quacks go out to ride & mark the course. Those who complete the staff ride receive Triple Crown Credit! All volunteers get a cool schwag item, and are welcome to join us for the post-ride meal. If you are interested, check out our volunteer information site at Volunteer Information. From there you can submit a request to help.